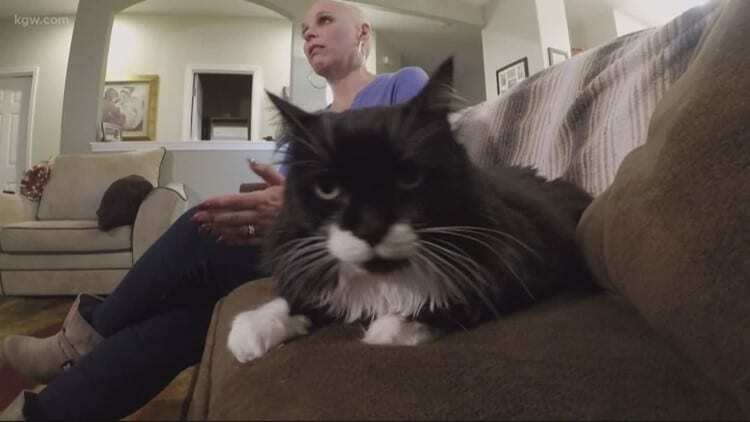 Michelle Pierson says her feline Mia noticed a lump that ended up being breast cancer and that the early detection has given her a better shot. 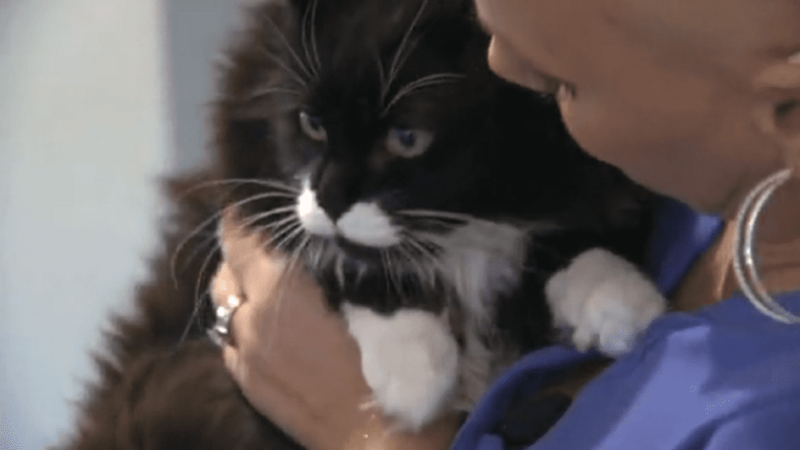 The 48-year-old, who’s still fighting the disease, and her husband Will adopted the kitty last year. Pierson’s husband Will also recalls the incident. “I was there,” he told KGW. “I felt the lump and said, ‘Yeah, you should probably go in.’” After undergoing tests, her doctor called to tell her she had Stage 2 breast cancer. “Because we caught this early, my prognosis is much better,” Pierson told the news outlet. She acknowledged she may come off as sounding like a crazy cat lady to some. “People kind of look at me like, ‘I’ve never heard of that, you’re crazy,’” Pierson told KGW.